Beverly Hills is a city in southern California with a population of 34,291. Although famous for Rodeo Drive, the movie industry, and being home to the rich and famous, Beverly Hills employs workers across all industries. Of the 10 employers who employ the most people in Beverly Hills, five are hotel or retail establishments. Further, the national recession has hit Beverly Hills hard. Since reaching a low in 2007, unemployment in Beverly Hills peaked in 2010 at 8.6 percent. While it declined to 7.7 percent in 2012, unemployment is still a major issue the city’s residents face today. With unemployment high, many people may fear that if they lose their current job it will be hard to find another one, making them reluctant to report unlawful employer behavior. 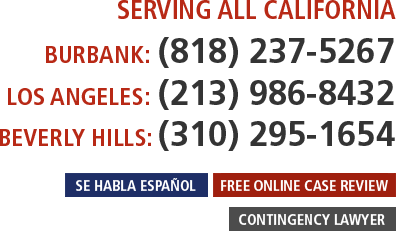 Beverly Hills employment lawyer Rosa Vigil-Gallenberg understands the protections that California and federal law provides to workers in the state. If you believe you are a victim of wrongful treatment by your employer, it is still possible to assert your legal rights, contact us today. You can fill out our quick and easy online Case Evaluation Form; this is the fastest way to get your case screened by an attorney. We do not charge prospective clients for a confidential telephone intake or online case review. California law makes it clear that employers cannot discriminate against their employees on the basis of their gender, race, sexual orientation, religious beliefs, age, disability, or other certain characteristics. There is a powerful law on the books called the Fair Employment and Housing Act (FEHA) that makes discrimination or termination on the basis of any one of these traits unlawful. FEHA also prohibits the refusal to hire someone based on one of these traits. Additionally, there are federal statutes such as Title VII of the Civil Rights Act of 1964 and the Americans with Disabilities Act, or ADA, that provide many of the same protections as FEHA. In addition to banning certain types of discrimination, California law requires that employers pay workers for overtime, provide meal and rest breaks, and afford other rights to their employees. The laws that provide for these rights are complex, and there are even different standards depending on the industry. Employees who have experienced unlawful treatment at the hands of their employer can recover damages. In addition, multiple employees can band together and bring a class action lawsuit against their mutual employer. In some cases, employers who have acted egregiously can be liable for punitive damages. In addition to employment-related class actions, at Gallenberg PC we represent consumers who have been victims of wrongful conduct at the hands of corporations or other entities. We bring class action cases on behalf of groups of plaintiffs who have been harmed by defective products, financial schemes, false advertising, or other acts that have resulted in physical, emotional, or financial damage to them or their loved ones. For legal advice related to your job, you need to speak with a knowledgeable Beverly Hills employment attorney. At Gallenberg PC, we have experience fighting for the rights of Californians who have been wronged by their employers, and will fight for all of the remedies you are entitled to under both California and federal law. We also represent groups of consumers who have been injured by products, schemes, faulty services, or other illegal acts. With offices in Beverly Hills and Los Angeles, we are prepared to aggressively litigate your case to ensure that you are treated equally and in accordance with the law. If you have questions about your consumer rights or believe that your employer has acted unlawfully, submit your case for our review by using the case evaluation form or begin the free and confidential telephone intake process by calling us at (310) 295-1654. We look forward to hearing from you.